Since we’re early into our Consumer Mindsets Tuesdays series, I will use the first several posts to introduce core ideas of Mind Genomics, the “science of everyday experiences,” on which our research is based. Today’s post explains four of them, including the direct contribution that mindset segments make to creating revenue-building marketing campaigns. We live in a world of rich experience where many aspects hit us all at once: it is a world of mixtures that we often evaluate as a whole. Just think about buying wine. In real life choosing a bottle results from weighing a host of factors such as : price, grape varietal, sensory attributes, origin, winery, winemaker, recommendations, marketing, food pairings, and occasion. Mind Genomics takes these variables, mixes them in systematic ways, and discovers through experimentation and statistical analysis which aspects drive interest, or not; how people differ in the way they respond to these aspects of wine, and how these differences cluster to form segments, which we call mindsets. People do not have a single mindset, we all have thousands upon thousands of them. Towards every individual “thing” in our lives, e.g. a person, pet, brand, product, service, or experience, we have a mindset. Mind Genomics enables the discovery of the different mindsets that exist towards each “thing” (usually between 2 and 5) and assign a person to one of those mindsets. 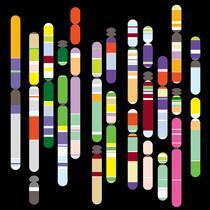 The Genomics part of Mind Genomics borrows from the concept of the human genome, as our image above suggests. As each genome sequence is unique to an individual, so is the sequence of mindsets that describe a person’s mind. Mind Genomics enables us to understand the structure of the mind genomes for individual persons in specific terms and market or advertise to them specifically. Let’s take a look at the mind genomes of two guys named Dylan and Jack. For simplicity we’ll take just three categories. Say for coffee Dylan is mindset 1, for Caribbean vacations he is mindset 3, and for bar soap he is mindset 2. Dylan’s sequence is: 1-3-2. Now look at Jack. He is mindset 2 for coffee, mindset 1 for Caribbean vacations, and mindset two for bar soap. Jack’s sequence is 2-1-2. (Note: I will explain the segment assignment process in a future post). Conventional segmentation is based on the notion that people who share characteristics are alike and can be sold to the same way. Consider the advertiser who wants to reach tech-savvy men. That target group might be described as: male, 18-34, have a college degree, boast household incomes in the range of $50-$65k, own an iPhone, and eat out a few times a week. Let’s assume that Dylan and Jack fit this description. Consider a new coffee chain wants to reach this target. Advertising messages would be directed to the group but, as we saw with Dylan and Jack, they look alike on the outside but are not the same on the inside. Because their “mindset gene” for coffee differs, Jack and Dylan are likely to respond differently to the same advertising message. We see this routinely in our research. Let’s take the example of red wine. In a recent study we discovered three mindsets towards red wine: the person only interested in the wine itself; the person interested in an affordable bottle that goes with a range of food; and the person who is keen on wine contributing to a good time. One of the messages included in the mixtures was “Imported from France.” In the first mindset, when the message “imported from France” appeared it raised interest by 23%; in the second mindset it had no impact; and in the third mindset it decreased interest in red wine by -8%. Continuing with Dylan and Jack, the coffee chain would treat each mindset as a segment then market and advertise to each with great precision. Doing so increases the chances that Dylan and Jack will respond more favorably to the directed messages. The key idea is simply that mindset segmentation provides us with the ability to market and advertise to people with messages that are more likely to get a positive response. Mind Genomics reveals which messages raise or lower interest within a mindset … and by what amount. This gives advertisers and marketers a tool for scientifically selecting messages that “pop” within the mind of the consumer. Future posts will discuss how to assign thousands or millions of people to mindset segments easily and with little cost, introduce cognitive economics, and competing through narrative.